A GREAT DIAGRAM TO HELP PEOPLE UNDERSTAND HOW A TURBINE CAN IMPACT ITS NEIGHBOURS | Mothers Against Wind Turbines Inc. 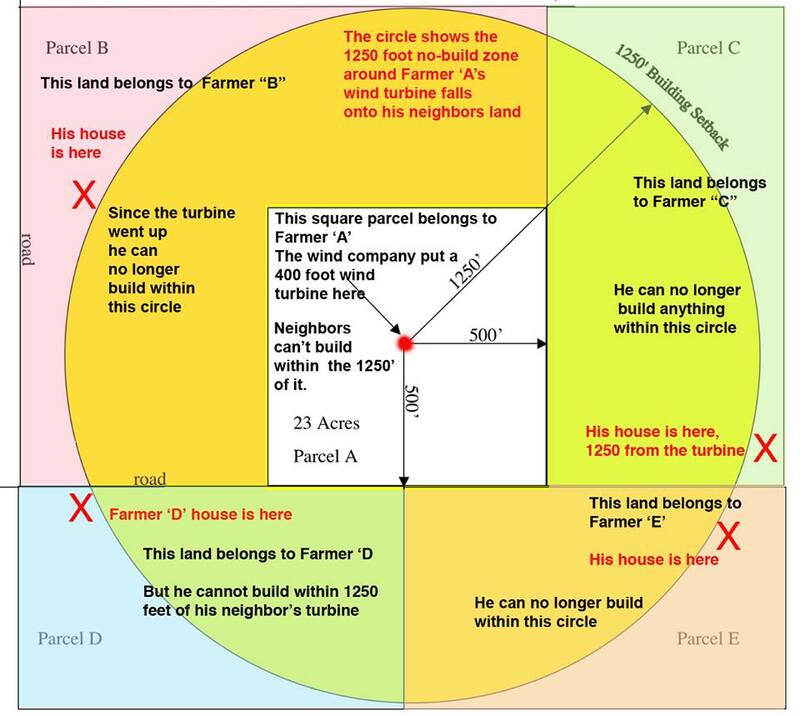 This is a useful tool to use to show people how much one turbine can impact the property values of homes around it. Now imagine if any of Farmers B through E have a second neighbour with a turbine. They are completely prevented from ever doing anything on their own property again. But turbines don’t affect property values…..right. Thanks to Concerned Citizens of Delta County for this photo. Origin unknown.